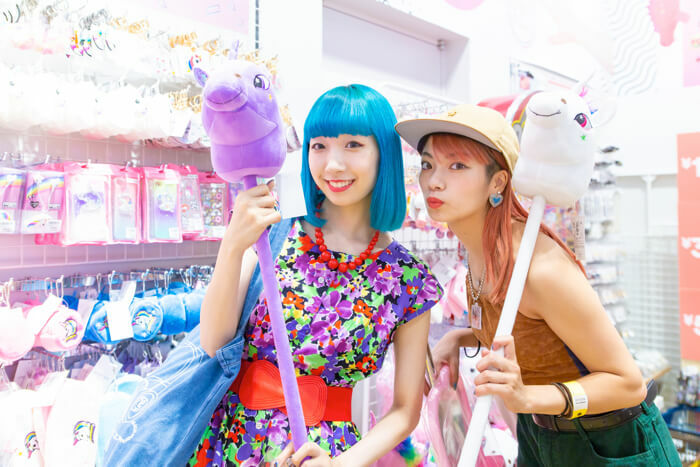 Unique fashionista duo Yuna Yabe and MIOCHIN embarked on their third trip around Harajuku together. In the first trip we saw them visit 6 second hand clothing shops recommended by them, and in the second they went around finding different places to take photos. 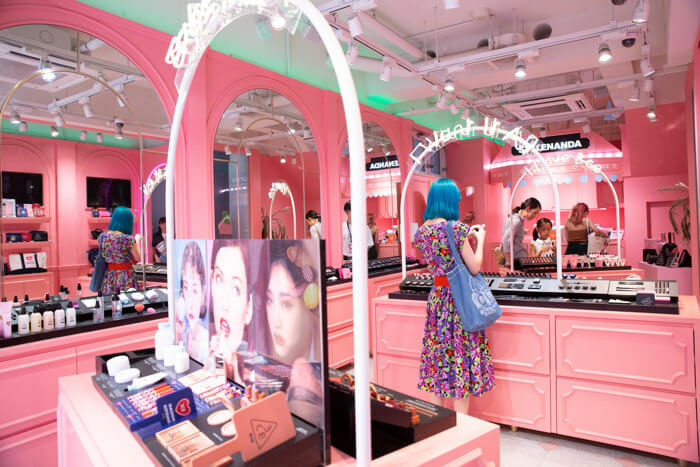 For their third entry they are showcasing places where you can buy inexpensive makeup and fashion accessories in Harajuku. 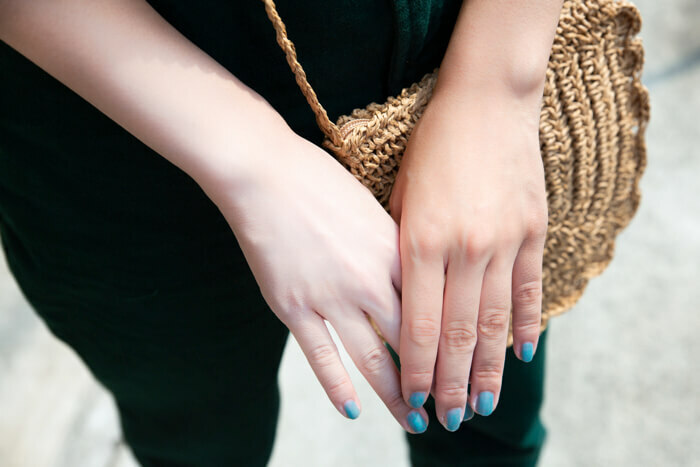 “There’s actually I place I’ve always been curious about when walking around Harajuku. Please! 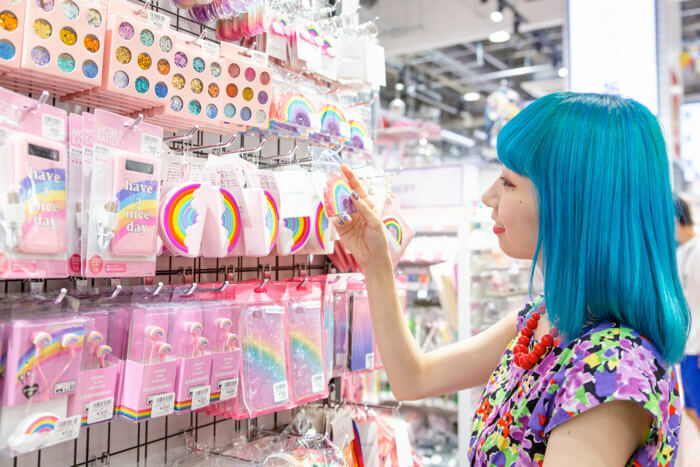 I wanna go!” This was MIOCHIN’s enthusiastic request, and so they headed there – to STYLENANDA, the Harajuku flagship store, located along Takeshita Street. The pink exterior is very stylish. STYLENANDA is a South Korea-based fashion brand. 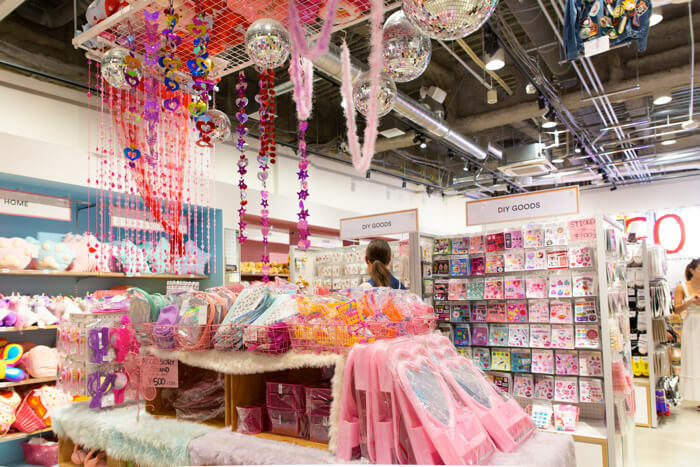 Japan’s flagship store in Harajuku was the first branch to arrive and it attracted much attention. 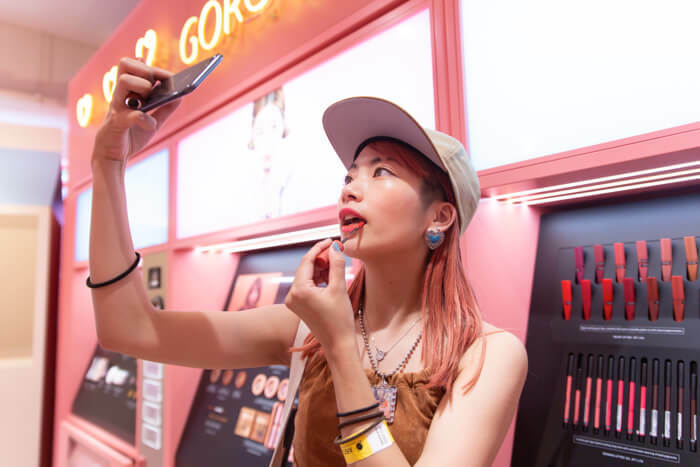 There are three floors decked out in cosmetic brands such as 3CE as well as a range of apparel. 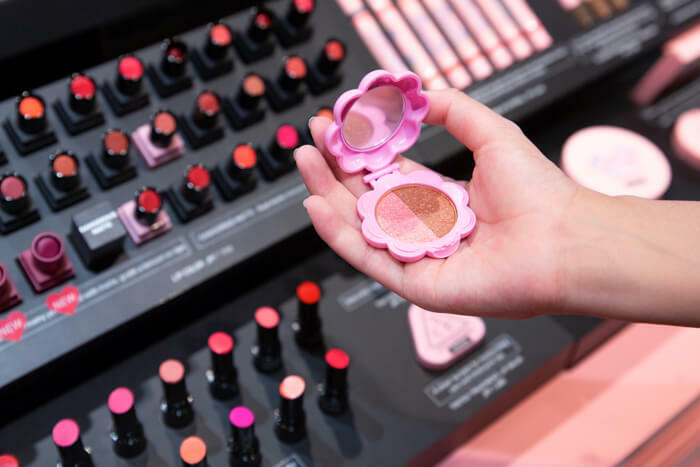 The cosmetic designs are of course flashy looking, but as cosmetic items they are also first-class quality. Additionally, because the store collaborates with so many times, you can always look forward to seeing something new no matter when you visit. Their hugely popular white milk cream is a must-check too. It’s a moisturising cream that naturally turns your skin white wherever you put it as pictured above. 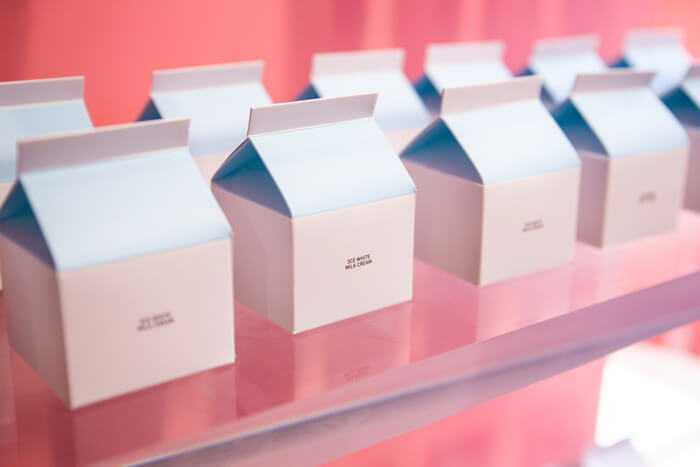 It comes in cute milk carton packaging too! The product is synonymous with the 3CE brand. MIOCHIN and Yuna began searching for items that best suited them. Yuna is a frequent customer at this store but this was MIOCHIN’s first time. What did the both of them end up buying? Find out at the end of the article! STYLENANDA has a number of places for great photo opportunities. The store has a cute appearance wherever you look. You can see that it’s not only the cosmetic designs that look great, but every nook and cranny of the store has been tended to. 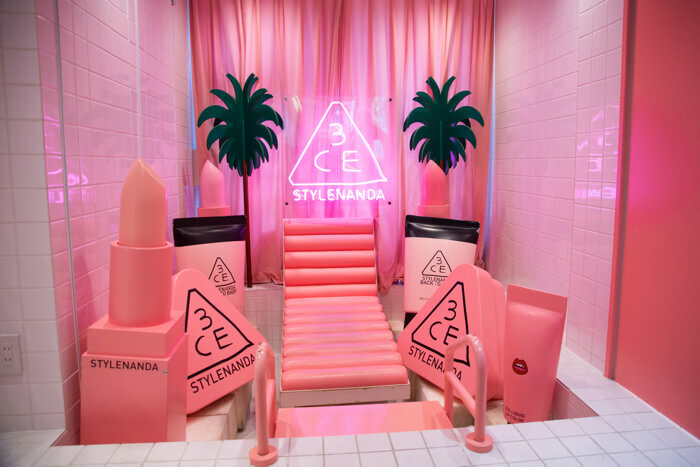 If you go to then you’ve got to check out STYLENANDA! “Sorry! There’s something I forgot to buy so can we go to Takeshita Street again?” asked MIOCHIN enthusiastically. 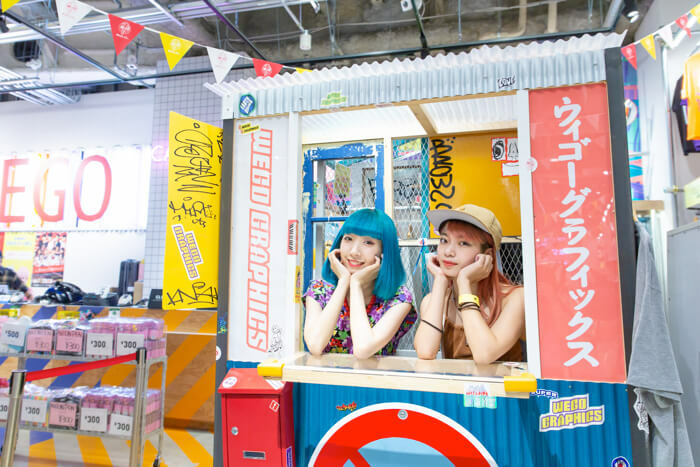 Off they went to WEGO1.3.5…, a lifestyle store that sells cute and fun pop items in three prices: ¥100, ¥300 and ¥500. 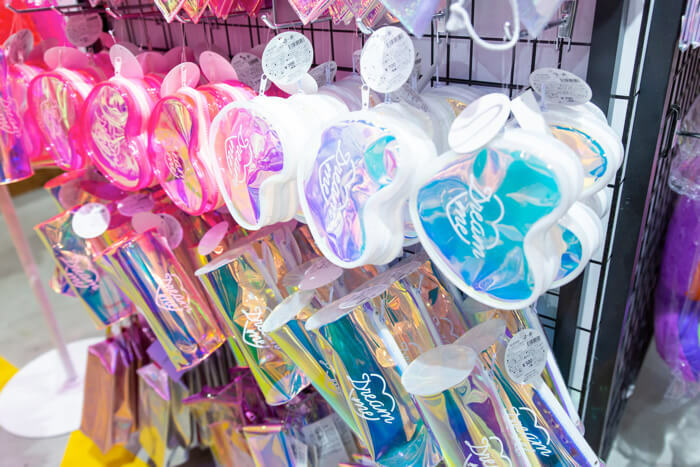 They have everything from apparel to fashion items and accessories, socks, travel goods, cosmetics, event and party goods, souvenirs and more all for the bargain prices of ¥100, ¥300 or ¥500. Some items cost a bit more but even those are super cheap! The store also has the photo spot above which makes for a great Instagram post. Visit and try to find it yourself! Showing Off the Items They Bought! MIOCHIN bought the white milk cream from STYLENANDA, something she’s always wanted. She also picked up the Sparkling Liquid Pigment which can be used to make up parts of your makeup. It’s a liquid type so it’s easy to spread but difficult to kink. Putting it just around your eyes leaves a gorgeous impression. It’s fine to use on your body too of course. 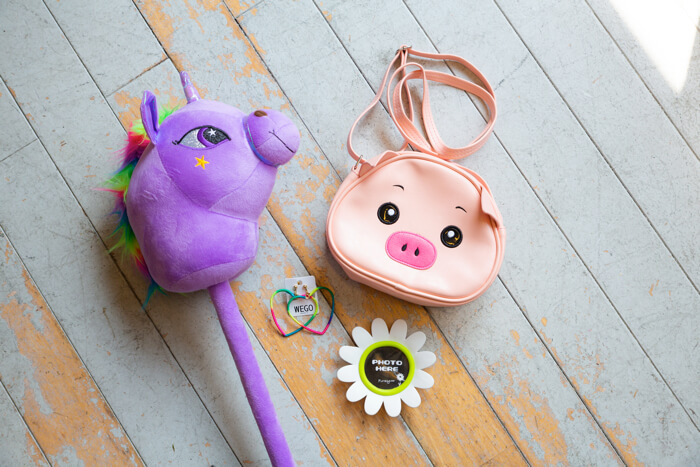 At WEGO1.3.5…, she bought a unicorn boots keeper, a piggy bag, a rainbow coloured heart earrings, and a flower photo frame. Despite it all being so cheap everything really stands out and is eye catching. Will she use the unicorn in a YouTube video…? At STYLENANDA, Yuna bought some cosmetics… or so we thought, she actually got a hat and a bag! The summery material brings out that fresh vibe. 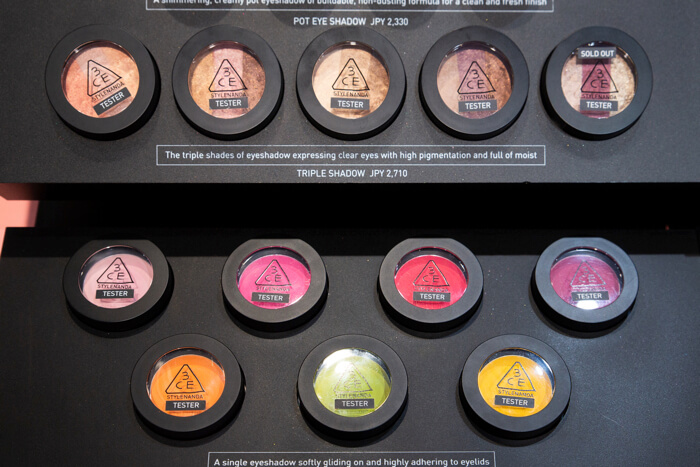 The fact you can enjoy makeup as well as apparel at STYLENANDA is part of its appeal. 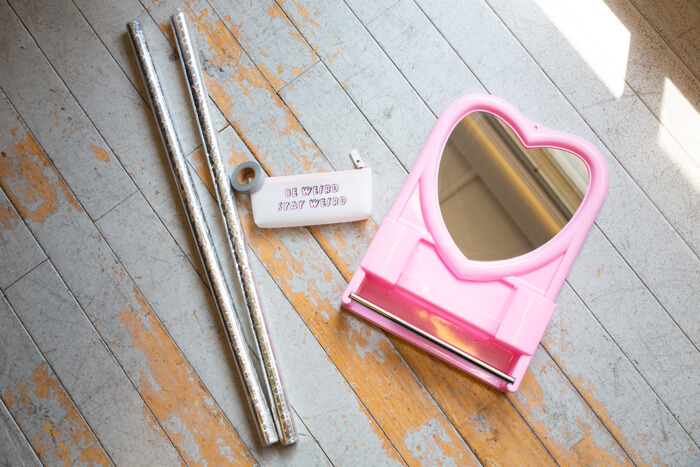 She bought a heart-shaped mini dresser from WEGO1.3.5… and a pen case. She also got some cute glittery wrapping paper to use as a backdrop in her YouTube videos. With just this she can elevate her home interior aesthetic that much more! Did you enjoy their third trip to Harajuku? In this article the two of them visited two bargain stores that MIOCHIN wanted to go to. Harajuku has even more unique and appealing spots along its streets. Why not find them yourself this summer in Japan? This series can be enjoyed on their YouTube channels too, so be sure to check them out!